Audi Q5 Running Costs, MPG, Economy, Reliability, Safety | What Car? Being a premium-badged SUV, the Q5 isn’t exactly cheap to buy, but it’s priced competitively against its nearest rivals. And it should be worth more than many of its peers when you decide to sell on in the future, with better predicted resale values than even the Land Rover Discovery Sport. Slow depreciation helps with finance rates, too, making the Q5 surprisingly affordable next to many rivals if you're buying on a PCP finance. If you're a company car user, the 40 TDI model's relatively low CO2 emissions keep company car tax bills competitive, although the Mercedes-Benz GLC is even better in this regard. We’ve run our own real-world fuel tests on the popular 40 TDI. While it typically failed to match the manufacturer's claims, it did record a respectable combined 41.0mpg, which compares well against the 36.5mpg achieved by a Volvo XC60 D4. Meanwhile, the range-topping SQ5 averaged a frankly awful 25.3mpg, making it one of the least economical cars we've ever tested. However, that's hardly a surprise given that it weighs two tonnes and has a turbocharged 3.0-litre V6 petrol engine. Standard equipment is reasonably generous across the range. Starting with entry-level Sport trim, you get 18in alloy wheels, three-zone climate control, part-leather seats (heated in the front) and cruise control. It's our favourite trim level, although we would recommend stumping up for optional the Technology Pack. S Line is also worth a look. This trim takes the sporty look up a notch, with larger 19in alloy wheels, more aggressive bumper styling and privacy glass. You also get powerful LED headlights and part-leather and part-Alcantara sports seats. Yet, for us, the price jump over Sport is too much for the extras you get. Black Edition adds still bigger wheels and further styling touches and isn't what you'd call a sensible choice. Meanwhile, range-topping Vorsprung is lavishly equipped with pretty much every creature comfort you can think of, but it's very pricey indeed. The range-topping SQ5 is a bespoke model rather than a trim; you can read more about it by clicking here. The latest Q5 was too new to feature in our most recent reliability survey, but Audi as a brand fared no better than average. It finished in 20th place out of 31 manufacturers – a slightly a better showing than 26th-place Mercedes but a little way behind 16th place BMW. Lexus owners reported far fewer faults. Warranty cover for the Q5 is for three years or 60,000 miles; extended warranties of up to five years or 90,000 miles are available. Euro NCAP awarded the Q5 a full five-star rating in its safety appraisal. However, if you look at individual scores for each category, the GLC achieved slightly higher marks for its ability to protect adults and children in a crash, and a considerably better score in the pedestrian safety category. 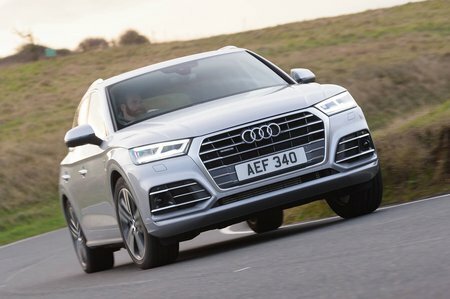 Every Q5 gets six airbags as standard (you can add two more rear side airbags for a small charge), as well as automatic emergency braking (AEB). At speeds of up to 52mph, AEB warns you if you’re about to hit a pedestrian or the car in front and will apply the brakes if you don’t respond in time. 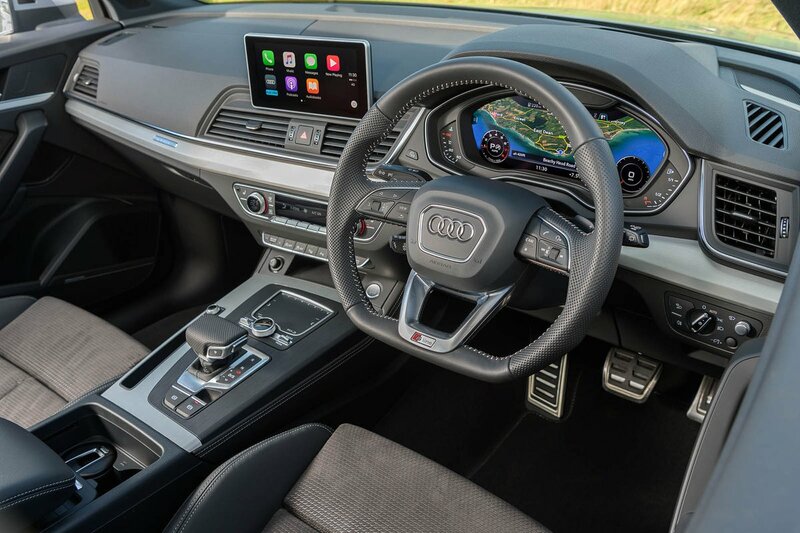 An optional Tour Pack (standard on Vorsprung trim) includes turn assist, which stops the Q5 if you fail to spot a car when pulling out of a T-junction; adaptive cruise control and traffic sign recognition to keep you up to date with the speed limit. The latter is coupled to the traffic jam assist, which will stop, start and steer for you at up to 40mph in traffic. Additional safety features come as part of a Parking Assistance Pack. 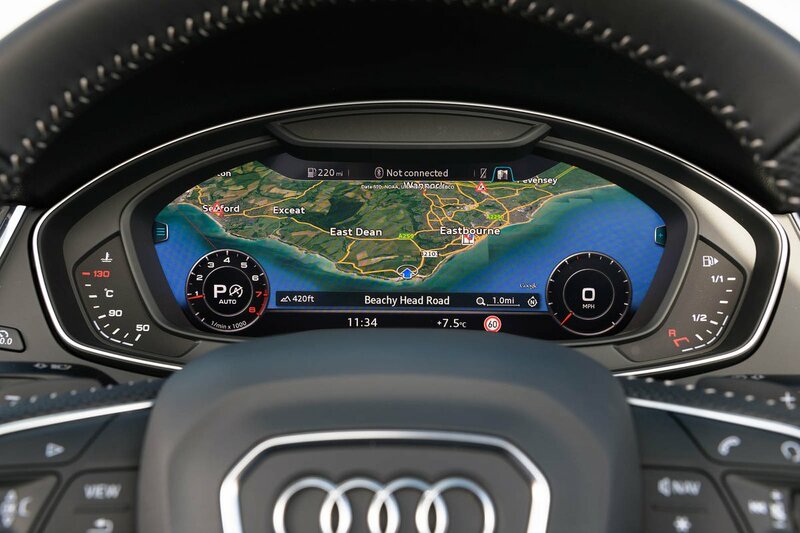 These include blindspot monitoring, a pre-sense system that tightens the seatbelts and shuts the windows if the car thinks you are about to be involved in a crash, and cross-traffic assist. The latter looks out for hazards at the rear when reversing, stopping the car if it thinks you haven't noticed something. This comes as standard on range-topping Vorsprung models, but is optional on the cheaper trims. All Q5s come with a full Thatcham-approved remote-operated alarm and immobiliser as standard.